The Rockford Auction Centre is a purposely constructed three ring auction facility with heated floors, plenty of seating, full access washroom facilities, and lunch counter. 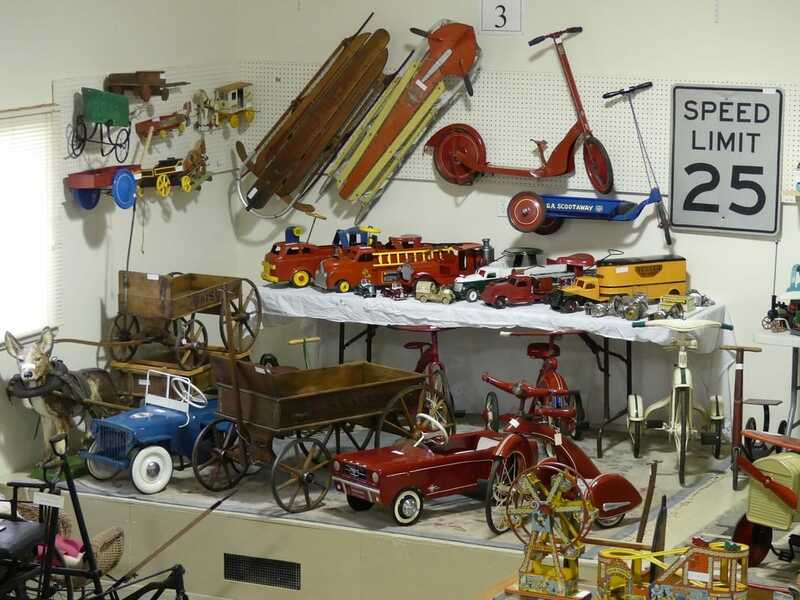 Holding approximately 25 estate & consignment auctions, as well as additional specialty antique, home renovation, and collectibles auctions throughout the year, the Rockford Auction Centre is the best and busiest auction facility in the region. Whether you are dealing with a single item, an entire estate, or a special collection, the staff at the Rockford Auction Centre have the experience to maximize returns on your assets. Be it antiques, Canadiana, artwork, toys, petroliana, advertising, or anything in between we are always interested in talking to you about maximizing the returns of your special collections. Please click on the photo to find out more about our consignment and specialty auctions and contact us if you are interested in putting our team to work for you. At Jim Snider's Sydenham Auction & Appraisal Services Inc., we do everything in our power to make the auction process as easy and as profitable as it can be for our customers. You may be certain that we will act on your behalf in a discrete manner, and that we will do our utmost to maximize the proceeds from the sale of your property. Please click on the photo to find out more about our auctions on location and contact us if you are interested in putting our team to work for you. With four accredited Canadian Personal Property Appraisers on staff, as well as a network of associates in a wide range of industries, Jim Snider’s Sydenham Auction & Appraisal Services Inc. is well equipped to perform all types of personal & business property appraisals. Whether you are a trustee, attorney, financial lender, executor of an estate, business owner, going through a divorce, or just need a professional opinion of value for other planning purposes, you can be assured that you will receive professional services at a reasonable rate. Please click on the photo to find out more about our appraisal services and contact us if you are interested in putting our team to work for you.